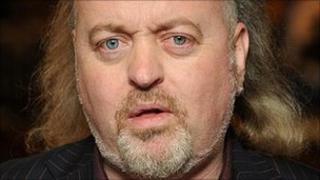 Comedian Bill Bailey is to appear in this year's Doctor Who Christmas special, the BBC has announced. He will be joined by fellow comedian and presenter Alexander Armstrong, Outnumbered actress Claire Skinner and The Fast Show's Arabella Weir. Filming for the episode, which is set during World War II, has already got under way. Doctor Who head writer Steven Moffat said of all the Doctors, Matt Smith was "the one that was born" for Christmas. "The Doctor at Christmas - nothing is more fun to write. Maybe because it's so his kind of day - everything's bright and shiny, everybody's having a laugh, and nobody minds if you wear a really stupid hat," he added. The BBC said the episode will follow Madge Arwell and her two children, who are evacuated to a draughty old house in Dorset. It is there they meet the caretaker, who is a "mysterious young man in a bow tie". Claire Skinner, who plays Sue in BBC comedy series Outnumbered, said: "I am thrilled to be in Doctor Who playing Madge who is a bit of super-mum. It's a magical part." Last year Sir Michael Gambon and Katherine Jenkins starred in the show's Christmas special. Video Doctor Who writer Steven Moffat angry with fans who lost the plot?